Spotted this book in San Francisco. 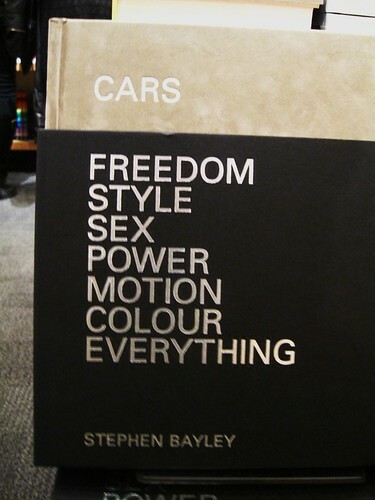 You could easily replace the word CARS at the top with BICYCLES and you'd have the perfect title for a book about mainstream bicycle culture with a splash of cycle chic. Bloody car culture - stealing from bicycle culture once again. Every single word is good marketing for selling bicycle culture to the mainstream.